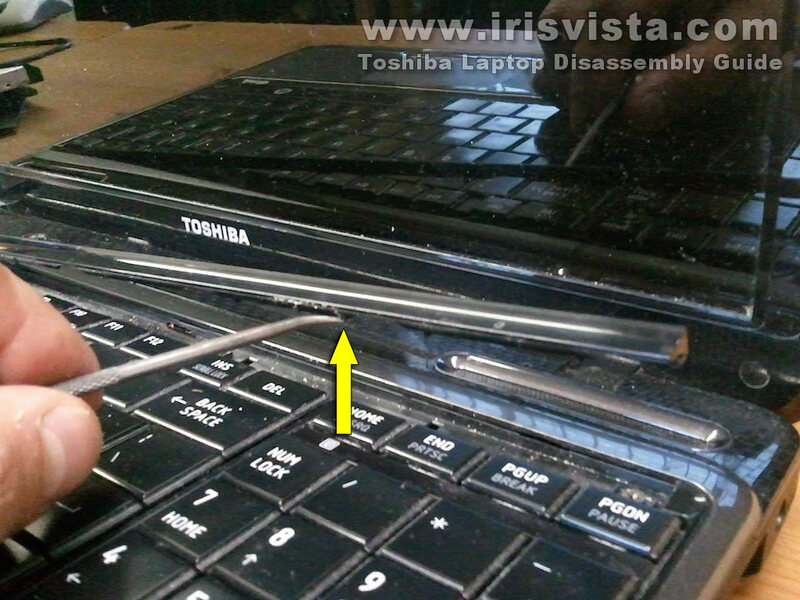 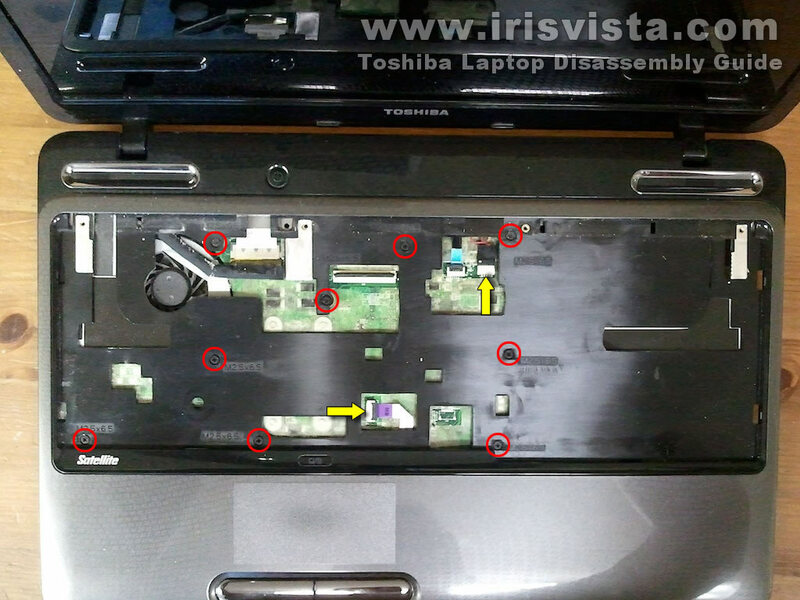 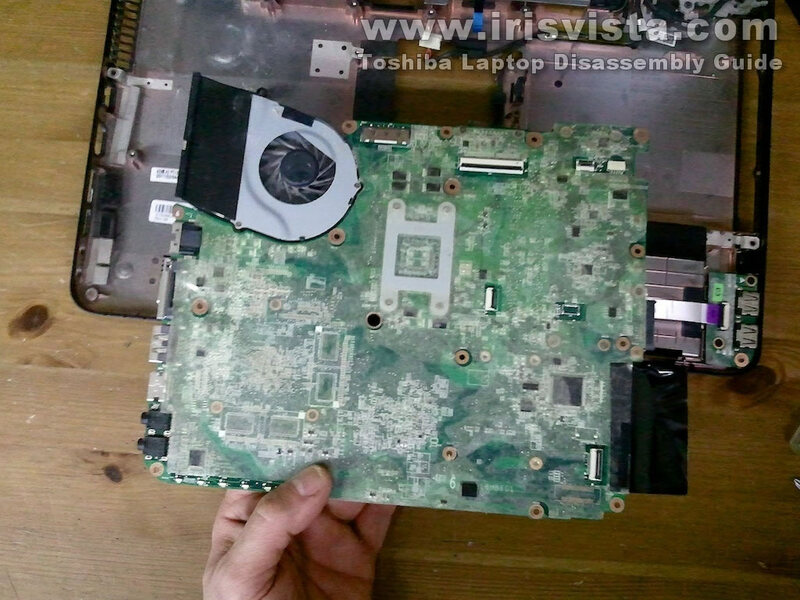 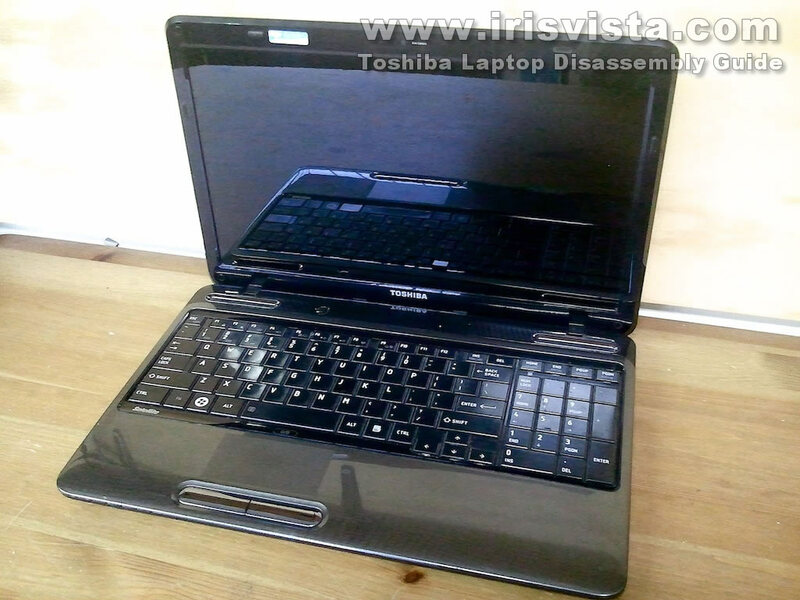 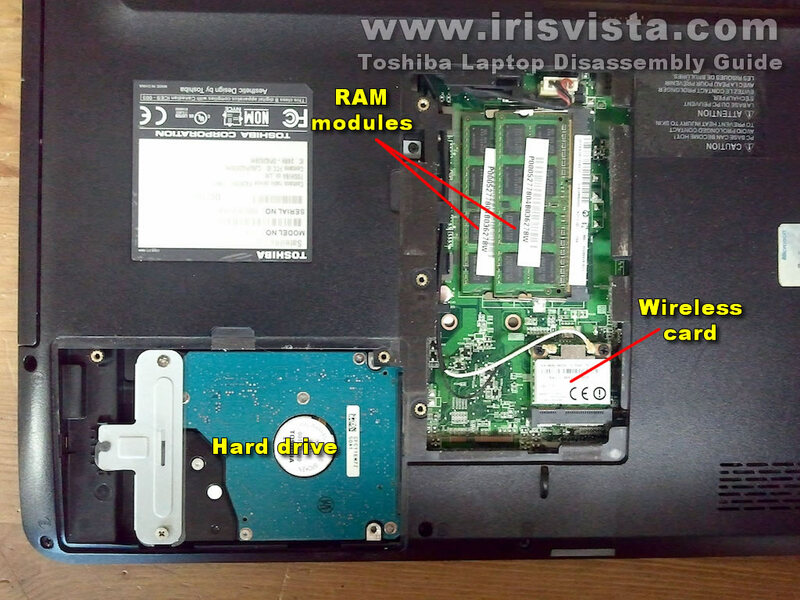 Toshiba Satellite L655, L655D, L650, L650D disassembly. 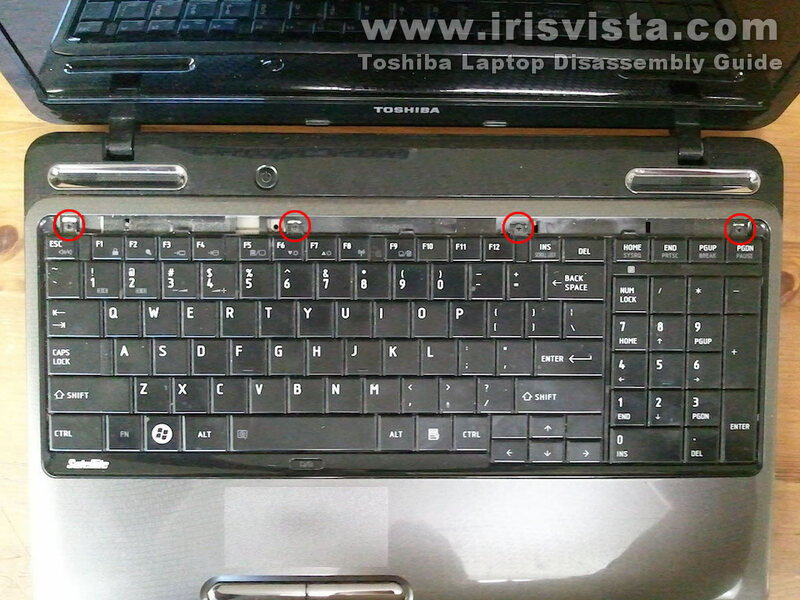 Turn off the laptop, unlock and remove the battery. Unscrew five screws securing service covers on the bottom of the laptop. 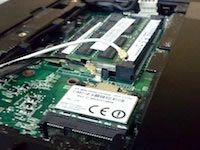 Now you can access both RAM modules, hard drive and wireless card. 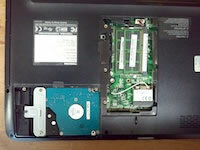 I'll leave RAM modules and wireless card connected but remove the hard drive. 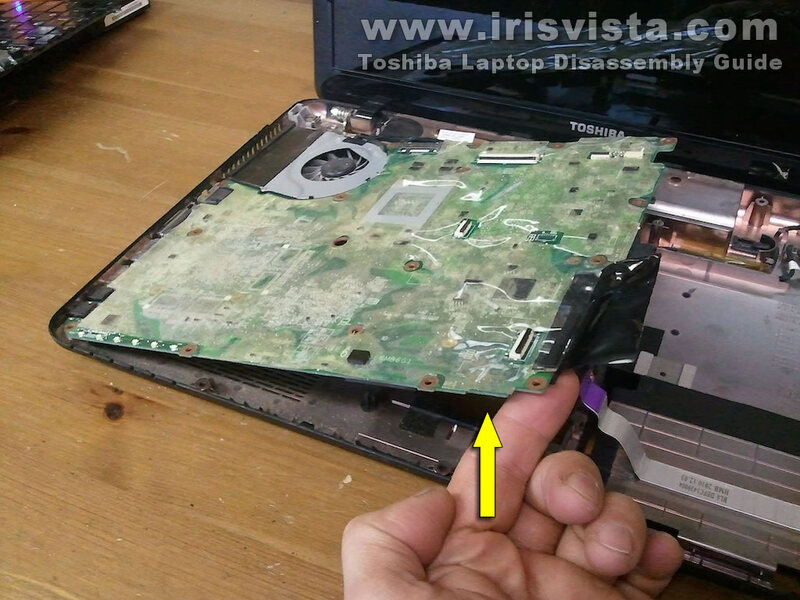 Pull the optical drive to the right and remove it from the laptop. 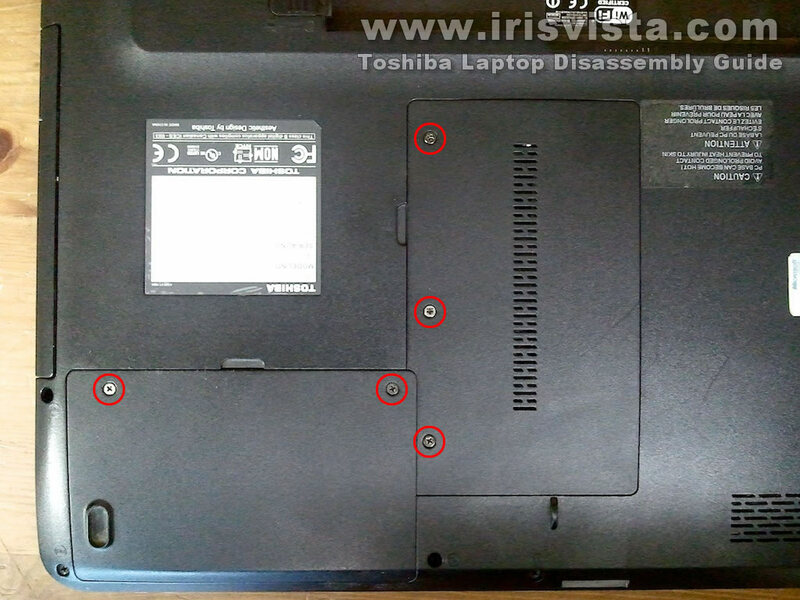 Remove one screw securing the keyboard bezel. 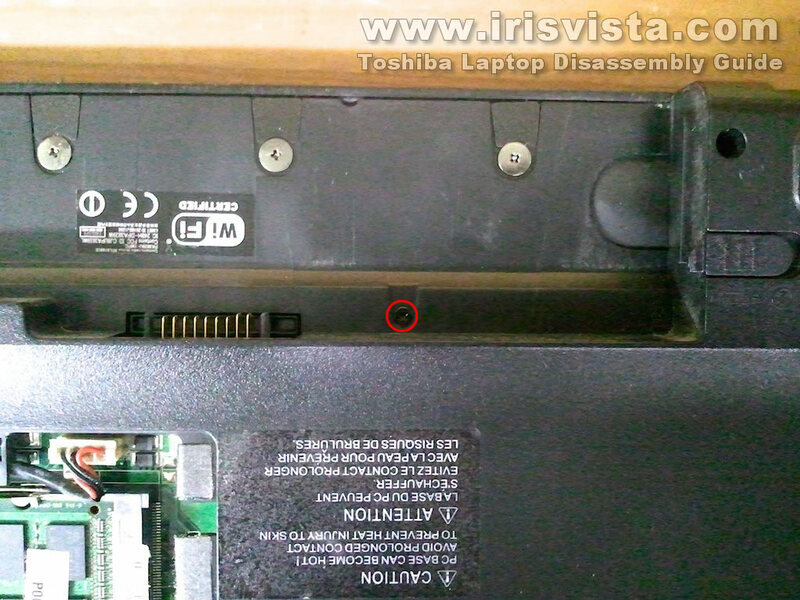 This screw located in the battery compartment. Insert a sharp object under the keyboard bezel and lift up the bezel. 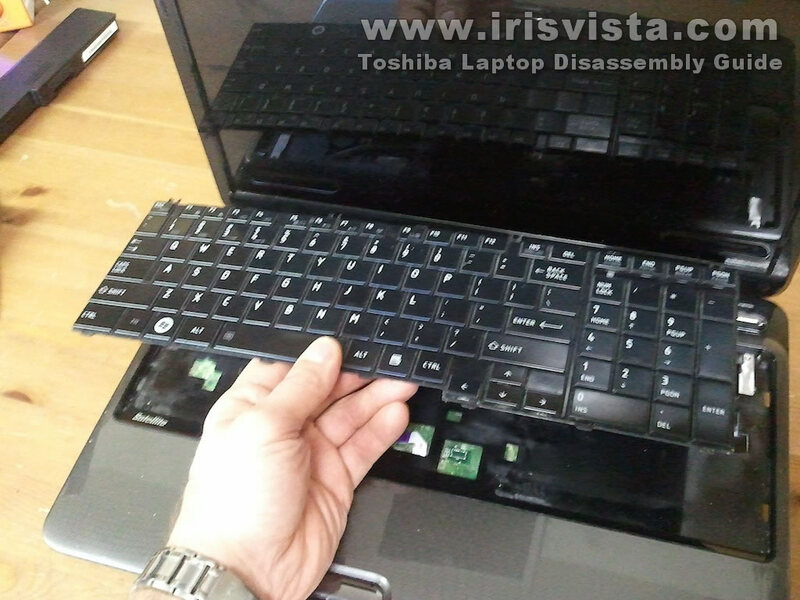 Now you can remove the laptop keyboard completely. 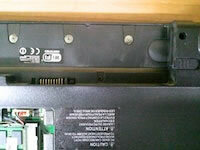 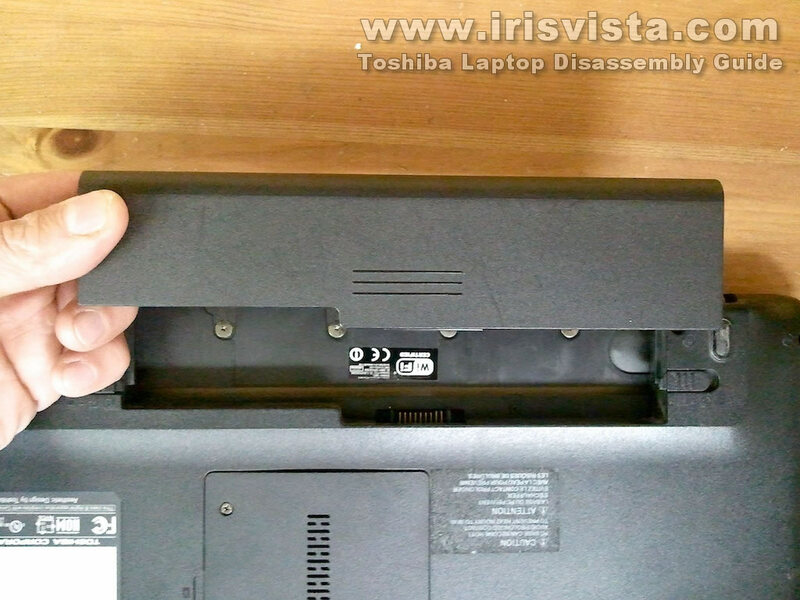 Remove two screws located in the optical drive compartment. 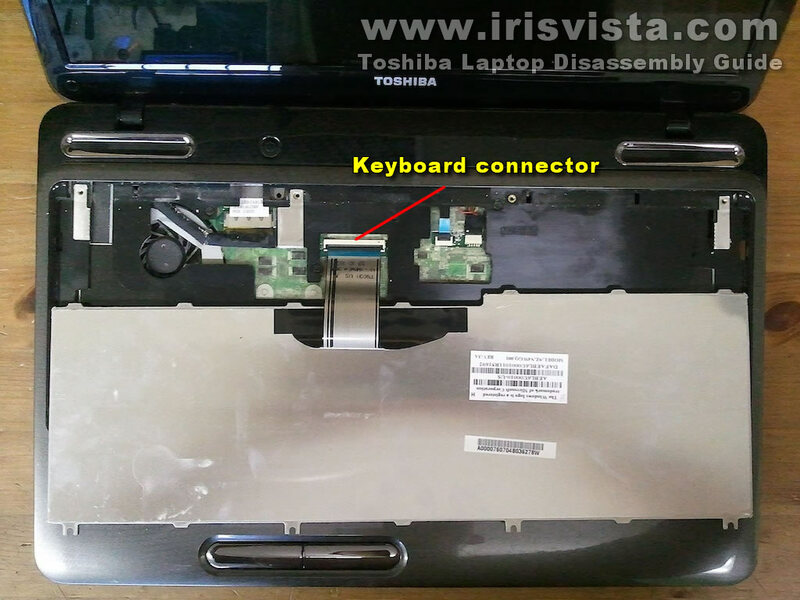 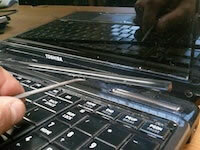 Disconnect the speaker cable and trackpad cable from the motherboard. The trackpad cable connector unlocks the same way as the keyboard connector. 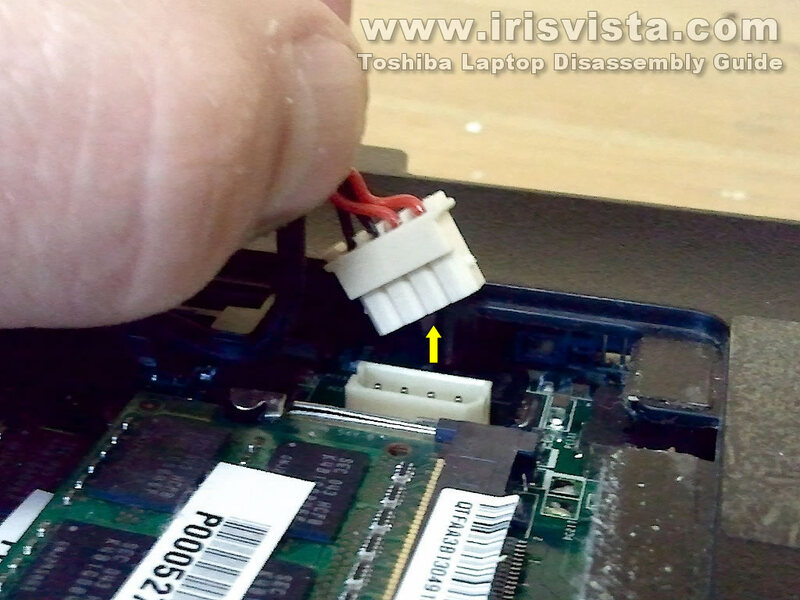 Here's how to disconnect the speaker cable. Simply unplug the connector from the motherboard. Start separating the top cover assembly from the rest of the laptop. 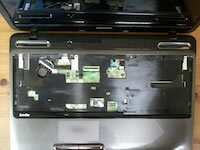 Here's the bottom side of the top cover assembly. 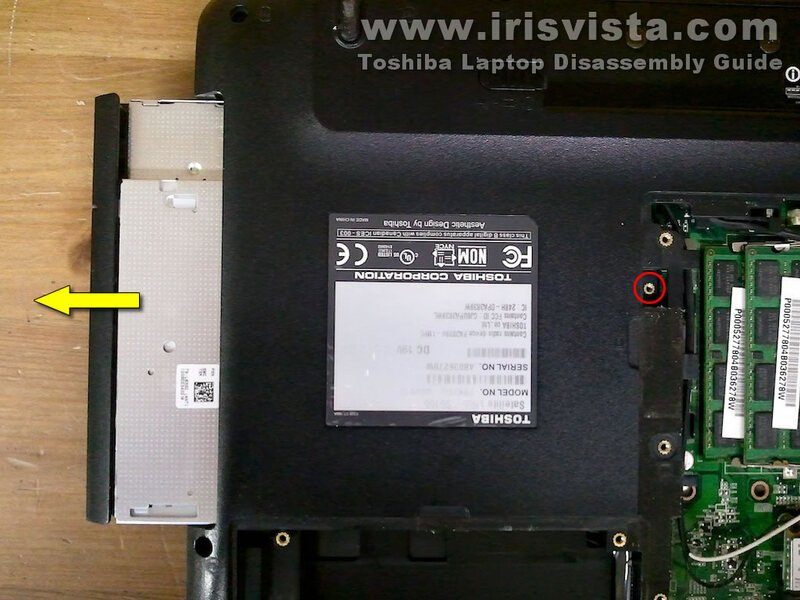 Here you can access both speakers, trackpad and trackpad button board. 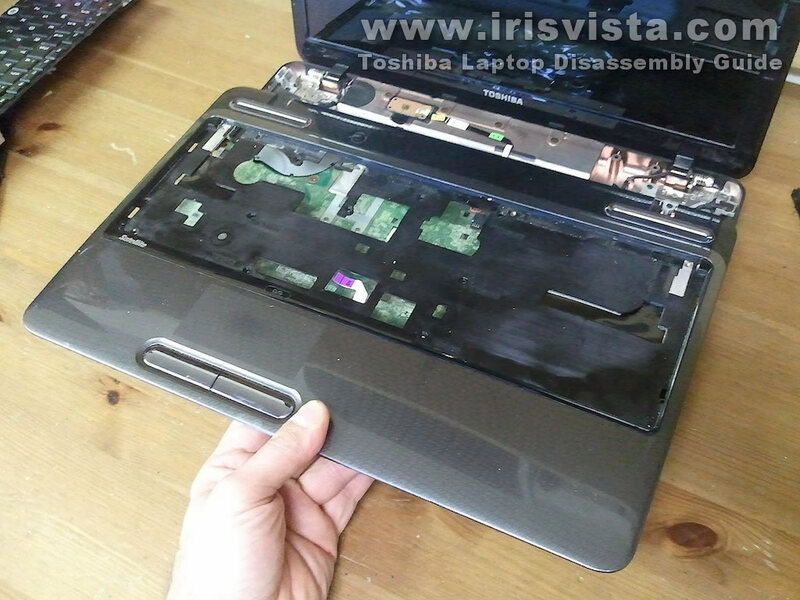 The the top cover assembly removed you can get access the power button board and USB board. 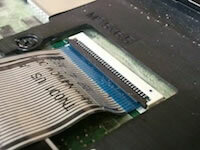 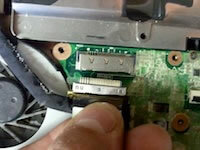 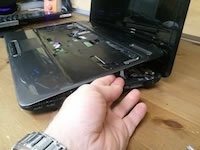 In the following steps I show how to remove the motherboard. 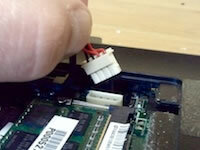 Unplug the DC power jack cable from the motherboard. This connector located on the bottom of the laptop in the RAM compartment. 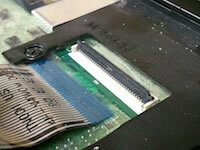 Remove three screws securing the motherboard assembly. 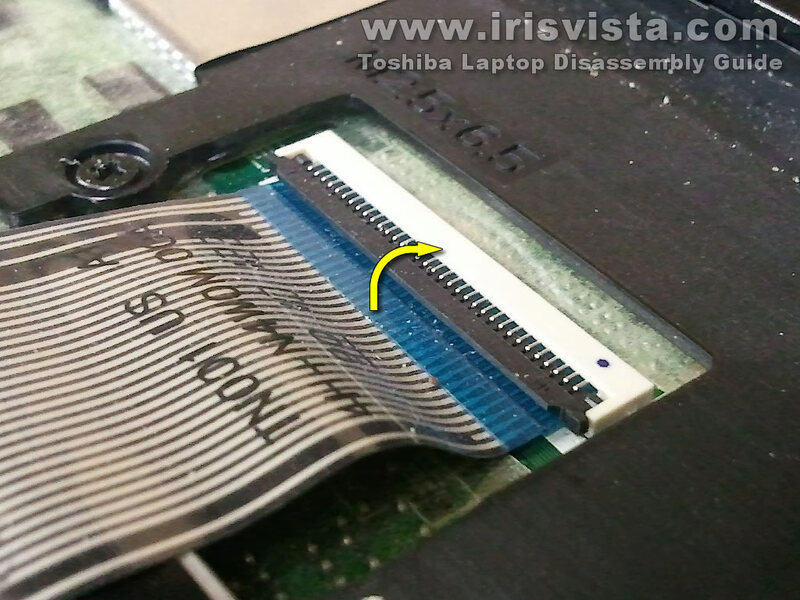 Disconnect the display cable, power button board cable and USB board cable from the motherboard. 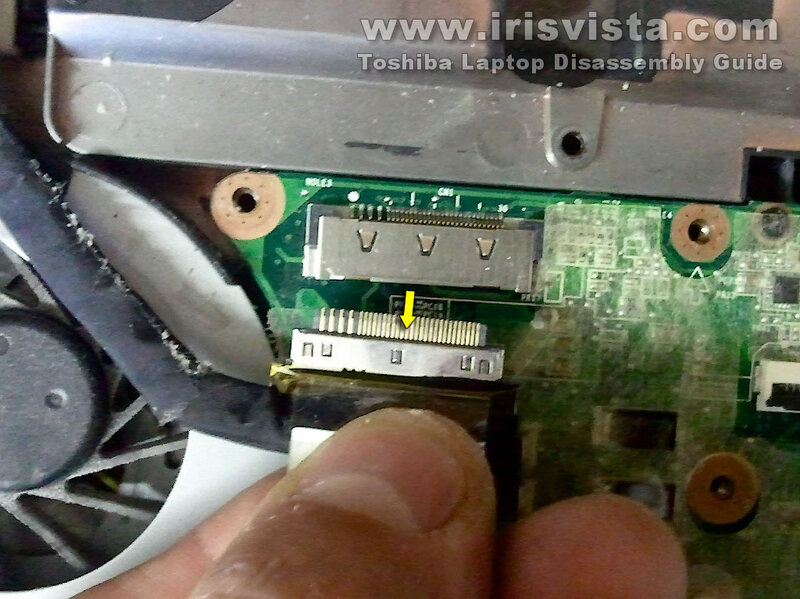 Here's how to disconnect the display cable. 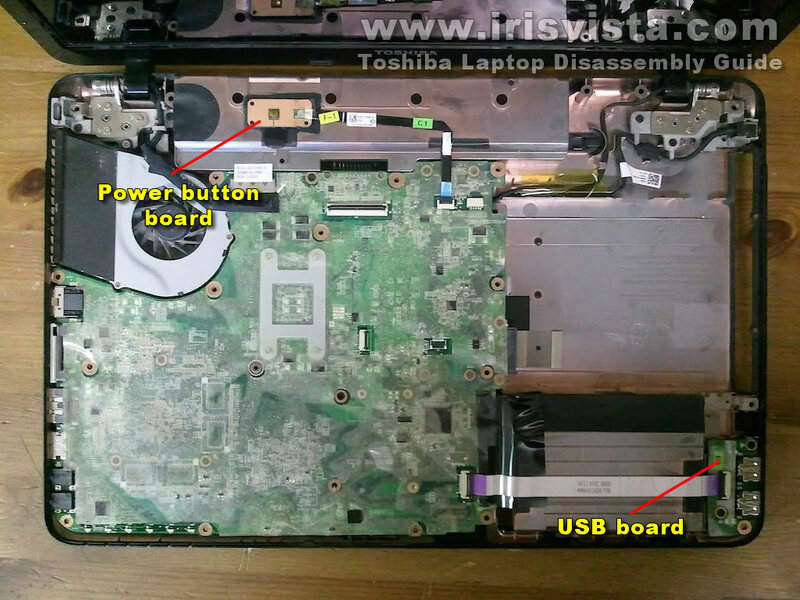 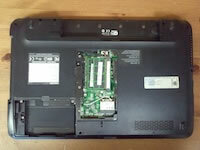 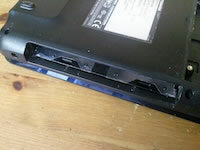 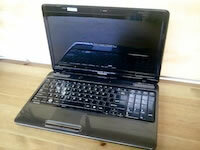 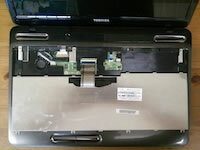 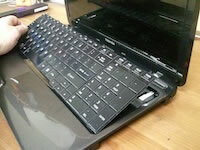 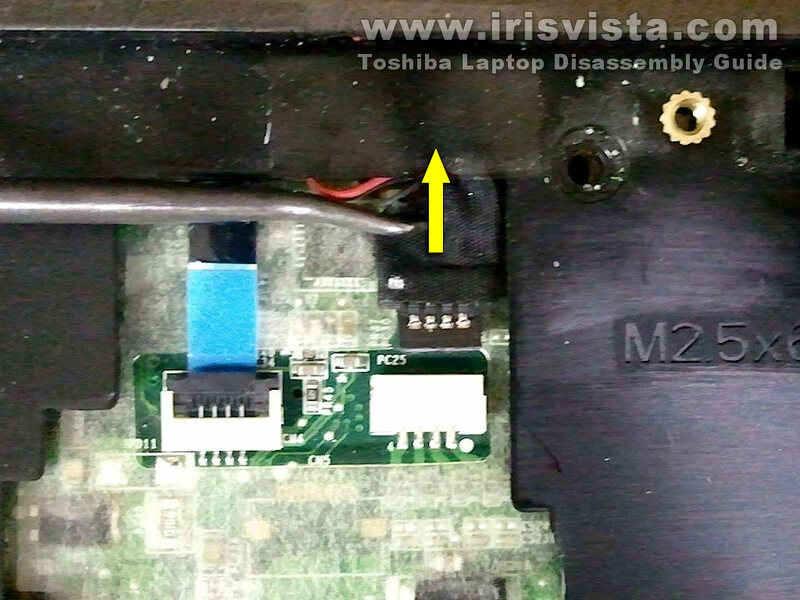 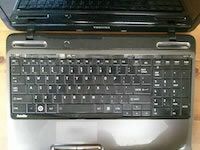 Start removing the motherboard from the laptop case as it shown on the picture. 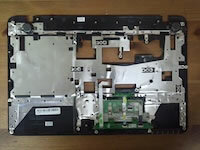 Lift up the right side of the motherboard and remove it from the case. 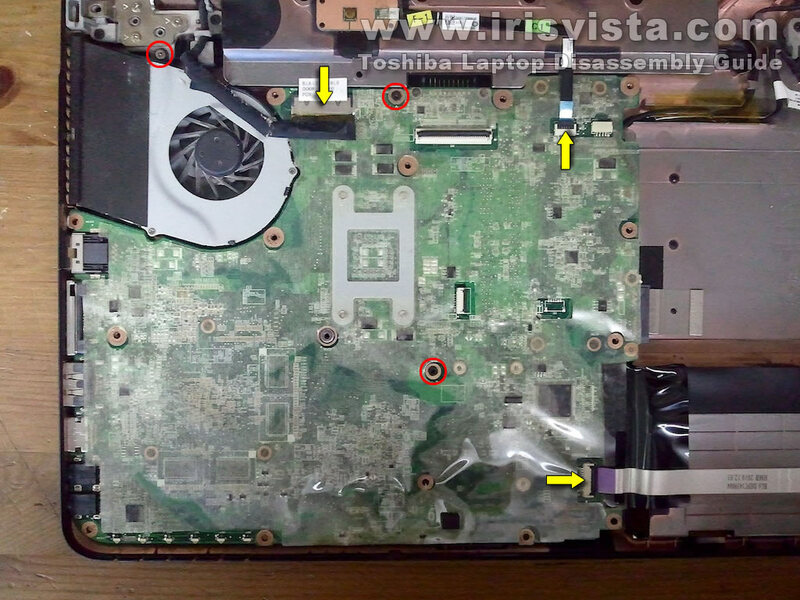 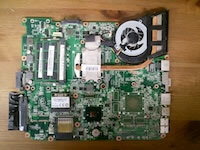 When the motherboard removed from the laptop you can get access to the cooling fan assembly and CMOS battery. The cooling fan assembly (heatsink and fan) secured to the motherboard by four silver screws. 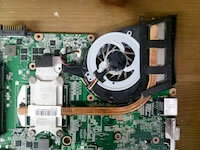 After you unscrew them and disconnect the fan cable, you should be able to separate the cooling assembly from the motherboard.